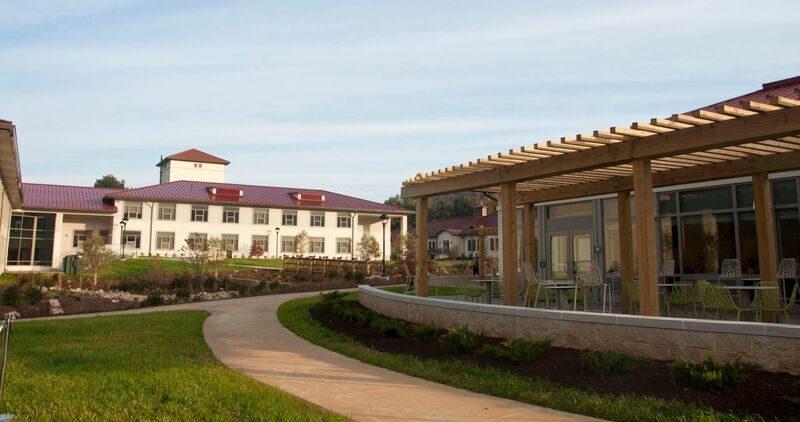 As the Smithsonian-Mason School of Conservation celebrates the dedication of its new academic, residential, and dining facilities in October, a $5 million gift will name the residence hall and dining complex in Front Royal, Virginia, the G. T. Halpin Family Learning and Living Community. Real estate developer Gerald “Jerry” T. Halpin is providing the funds to establish an endowment for the school, providing scholarships for students and professionals, support for curriculum and program development, and faculty research. The new G. T. Halpin Family Living and Learning Community facility at the Smithsonian Conservation Biology Institute can house 120 students. Photo by Danett Crespo. A LEED Gold-certified Standard building, the new residential complex can house 120 students. Some of its features include green-roof technology, geothermal heating and cooling, composting kitchen waste, rainwater reuse, and storm-water management. As part of the Smithsonian-Mason Semester, students spend a semester living on the Front Royal site and working closely with Smithsonian scientists. Halpin is the founder and former president and CEO of WEST*GROUP Management LLC. He, along with his partners, are credited with creating the West*Gate and West*Park areas of Tysons Corner and developing more than 14 million square feet of office, retail, residential, resort, and industrial space in Northern Virginia and Maryland. 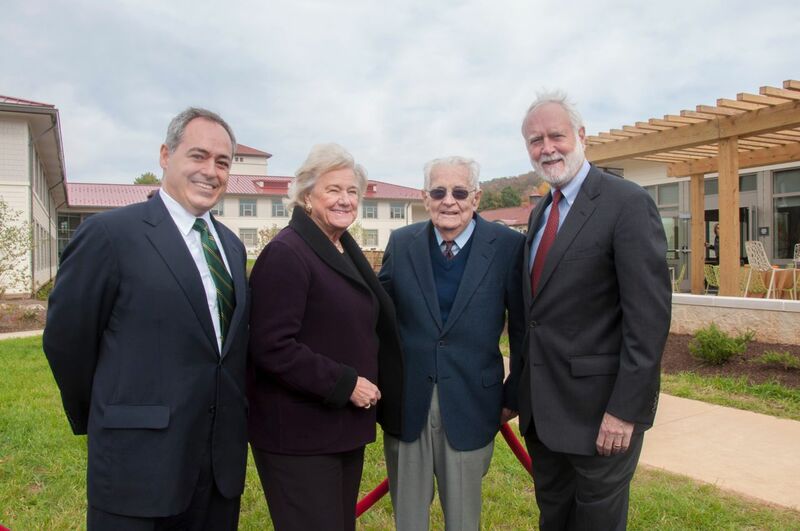 From left, Mason President Ángel Cabrera, benefactors Adrienne Mars and Gerald “Jerry” Halpin, and Smithsonian Secretary Wayne Clough at the dedication ceremony. Photo by Danett Crespo. Halpin has been a volunteer leader at Mason, having served on the Mason Foundation Board of Trustees and the College of Science Corporate Advisory Board. He also has donated to the College of Humanities and Social Sciences and the College of Visual and Performing Arts.